soo the project, will start again, we create a new story and a new monsters and enemies. this is the first 1: and the first update of the new concept of the game. new facebook page of the game. 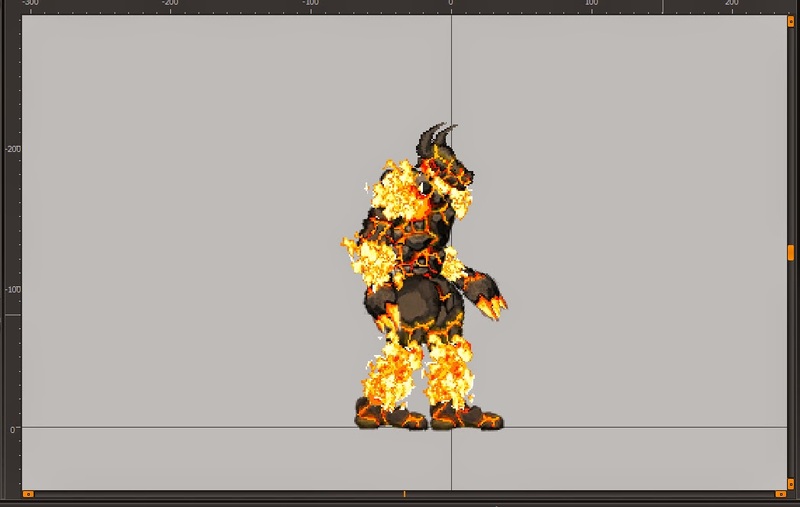 dev diary 5 first boss holy version concept and animation working in progress. angel guardian animation time lapse progress part 1 in spriter. if you like it follow us in youtube and like our facebook page. here is the angel guardian animation time lapse second part, that I have worked in spriter. in game engines like construct 2, you can get a great optimization by using spriter format for the animations, because it use only the bones data of the animations and the sprites of the differents parts of the character. in this case for example the spriter file size is 407kb and all images size are 21kb total of 428kb compare this with a sprite sheet image of 30 frames for only 2 o 3 animationes with a size of 815kb. other think that help the optimization with spriter is that you need only need load 1 time all the image, in game, because that animations isnt in frames, the animation is in bones data, this help to the cache data of the game. follow us, and learn more information about the game and the tool that we use for the development of the game. 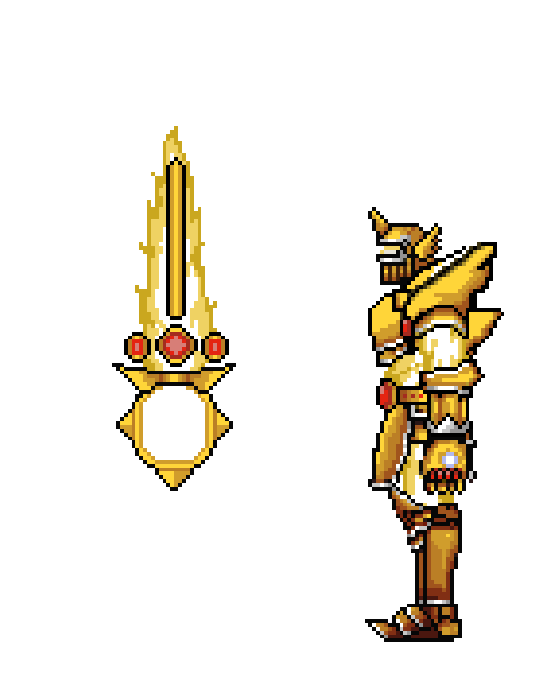 here is the second phase of the first boss spear guardian idle fly animation, create in spriter. why do you capture sceen to gif if you can export as gif animation in spriter ? this mob is for the game and the tech demo. he is heavy with powerfulls attacks, but he lost his defense when he attack. you will need be patient to attack him in the right moment. more info about the tech demo coming soon. 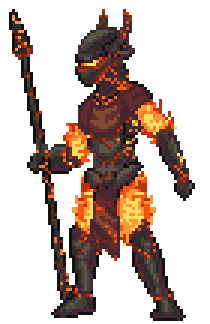 Flame lancer mob counter attack in action in the engine. 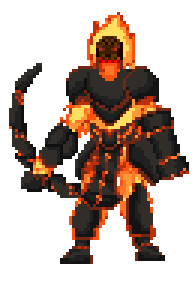 Here is a little test of the flame lancer counter attack in the engine Construct 2.
remember you will need be patient to attack him in the right moment. this enemy does not have much HP, but has a great range and damage, and also can attack with daggers in close range. 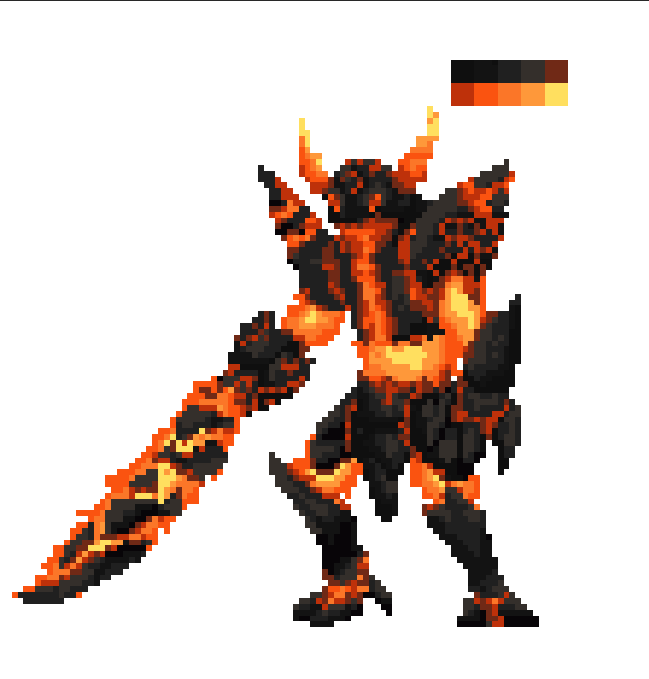 this demon has a more human form, but his armor, begins combine with his body and the demons flames, he has a good distances, damage, an a decent hp. spear Demon Animations First update. now we are working in the combo system. button combination between hard attack and light attack and timing. this one is Hard attack, Hard attack, Hard attack. check all the animations of the main character of the judgement project here. remember follow us in facebook. and suscribe in youtube chanel. the stream finished, you can watch the record of the judgement project Dev stream date: 02/07/2016 here. remember, suscribe to the youtube page and watch the video in youtube, is important for us, we need suscribers, watch and likes, for make the community bigger. first fase of the prealpha exploration demo. check the Devstream 2 updates of the judgement project. this is a exploration demo, and this demo is in early state. the demo could have bugs or glitch, please report it to us. 1-change some animations of the character. 2-correct the speed on runing, walk, tired walk of the character.